Perfect stay at Fuingerola, everything is around the corner and the view is amazing. Amazing staff that would make your stay as easy as 123. I would defently stay here again when in town. Apartment is well equipped with underground parking "for extra fee"
We arrived late at night and flight was also late. Despite of that we were welcomed friendly. Muy amable personal! The train stop was just behind the hotel, we visited in Malaga by train. Muy facil! The apartment was at the quiet end of Fuengirola, but the bus and train services made moving around quite easy. The beach was directly in front of the apartment and was cleaned almost daily. Small ‘supermarket ‘ close to the apartment had most of the basics you would need. 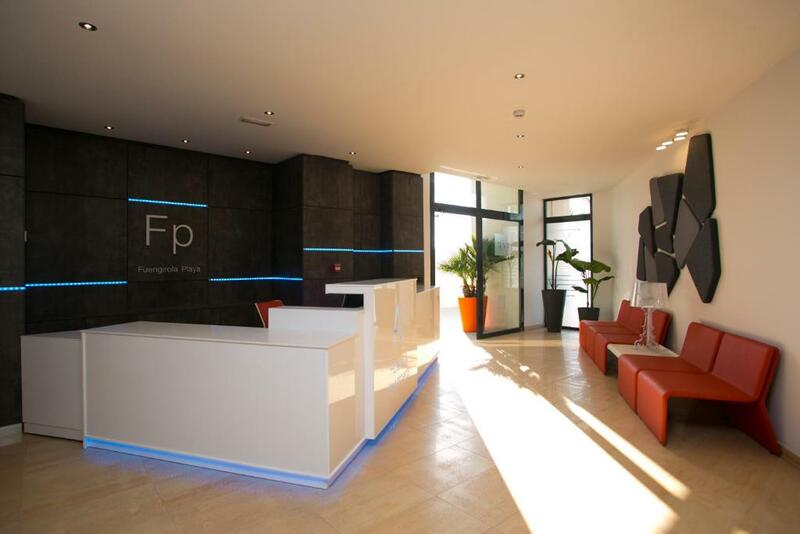 Apartment reception staff were always helpful and friendly 😊. The person on the reception.The view, and that was about it. 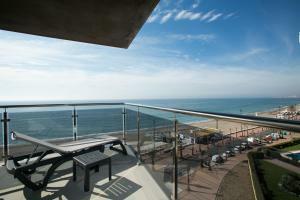 The location of the apartments is excellent and the view from the balcony is stunning. The apartments are modern and comfortable with everything that you need. The apartment was very clean. The view was great. There were not all the dishes and appliances we would need, but we manage (scandinavian coffee machine with electricity, oven for cooking). The air condition was perfect. If we could hope more: the pool needs a small bar. 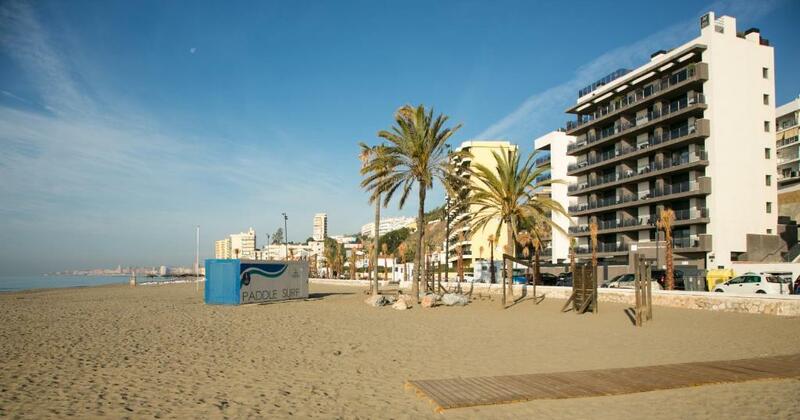 Lock in a great price for Apartamentos Fuengirola Playa – rated 8.8 by recent guests! 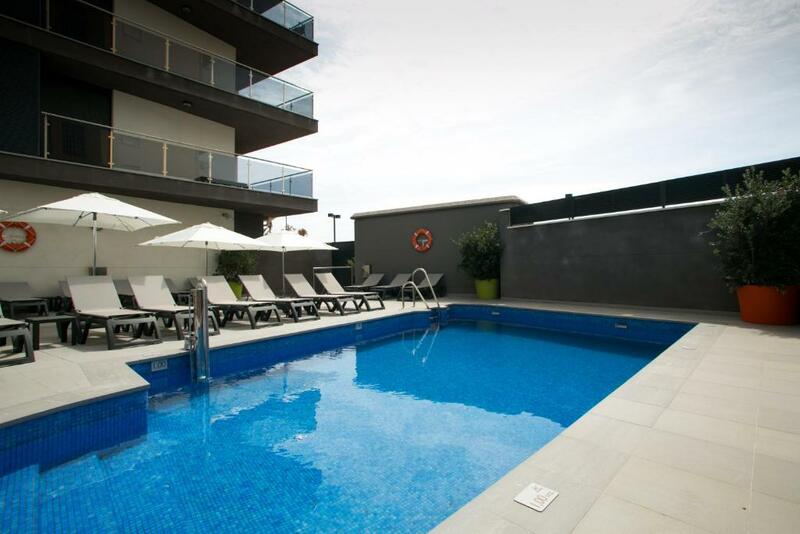 Set in Fuengirola in the Andalucía Region, 1.8 mi from Los Boliches, Apartamentos Fuengirola Playa features an outdoor pool. Free WiFi is offered throughout the property. The apartments have a seating area. Some units feature a terrace and/or patio. They also include a kitchen, fitted with an oven-microwave, a toaster, coffee machine, kettle and refrigerator. Each unit is equipped with a private bathroom with a bath or shower, free toiletries, and a hairdryer. Bike rental is available at the property and the area is popular for golfing. 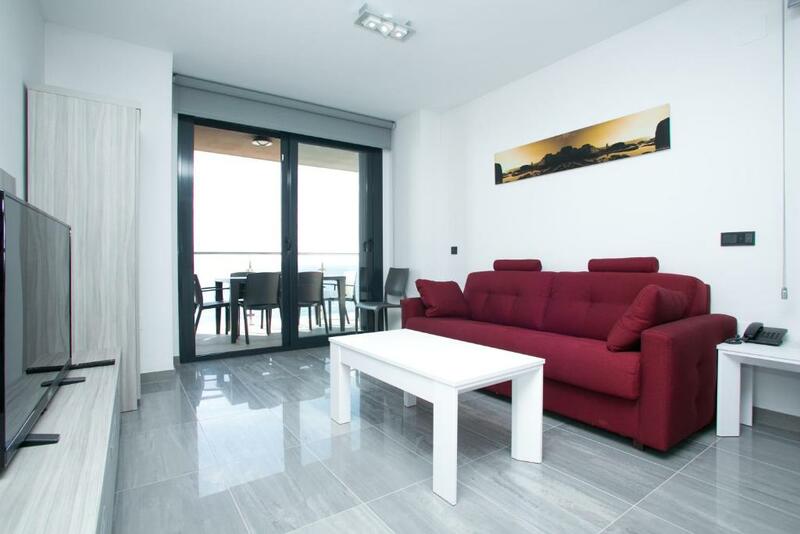 The nearest airport is Malaga Airport, 9.3 mi from the property. When would you like to stay at Apartamentos Fuengirola Playa? This apartment features 1 double bedroom, a kitchen with a stovetop, living room with sofa-bed and dining area and private entrance. This apartment features 1 double bedroom and 1 twin bedroom, a kitchen with a stovetop, living room with sofa-bed and dining area and a terrace with sea views. This apartment features 1 double bedroom, a kitchen with a stovetop, living room with sofa-bed and dining area and a patio with dining area. AV Hotels & Apartments. - Hotel Don Pepe***, Palma de Mallorca. 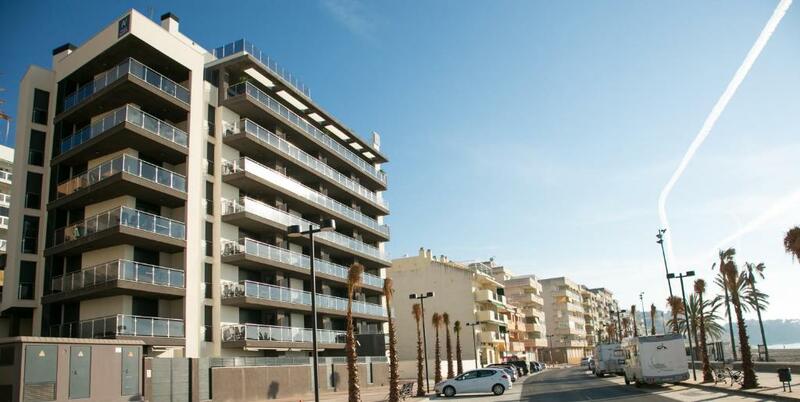 - Apartamentos Fuengirola Playa**. Fuengirola, Málaga. - Villas Altos de Marbella, Marbella. Málaga. 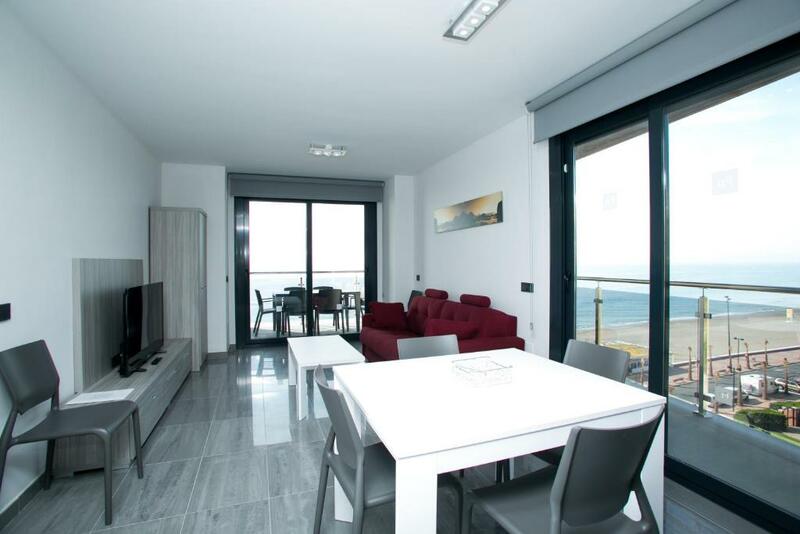 House Rules Apartamentos Fuengirola Playa takes special requests – add in the next step! Apartamentos Fuengirola Playa accepts these cards and reserves the right to temporarily hold an amount prior to arrival. Please note that late check-in after 22.00 carries a surcharge of EUR 50. 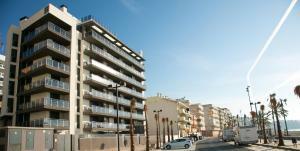 Please inform Apartamentos Fuengirola Playa of your expected arrival time in advance. You can use the Special Requests box when booking, or contact the property directly using the contact details in your confirmation. A damage deposit of EUR 200 is required on arrival. That's about 224.87USD. You should be reimbursed on check-out. Weather was not so good during our stay but that’s nobody’s fault. There could be included dishcloths in the kitchen for cleaning tables etc. We bought one. And water was too cold in the swimming pool (in October). The apartment was not always serviced on the days stated, nor cleaned to a very good standard 😕. No oven to cook with had to eat out no option but to. A dish washer for two people that took the room of the oven what a laugh.No English to unless yo like news all day.Only one small shop for buying food from which was expensive. Had to walk a good 2K for a decent resteraunts unless you liked Italian every day.I have used private apartments over the past 15 years all I might add below the cost of this one, this was a very poor second.It gave me the impression everything was geared in the person who hired it to live out of the apartment than in it to ensure nothing was used and kept spotless clean.It is working I have never seen such a clean hobb and gleaming saucepans ect. Never again. Excellent receptionist. The apartments are excellent however some English TV channels would have been welcome. Pool area was tiny and in the shade most of the day. Reception is closed between 1-4 so can’t check in but can’t even get into the building unless someone is coming out so you have to drag your cases to the nearest bar along the road or sit on the step outside. But it did not spoil our stay. Room was modern and clean, sea view was great. Deposit to pay 200 euro until check out. Not much restaurant around. Swimming pool was very small and deep to play with baby. The only thing if I had to make any negative comments, there was no tea towel or tin opener. Clean apartment and location was great. Fantastic sea views. Had a lovely time. Staff were helpful. Instructions for using appliances would have been useful and mugs instead of v small tea cups! My husband could not get his fingers through the handle!! Glasses were very fragile and no plastic dishes for use on balcony. We were disappointed when we arrived to the property: we need to wait to get to the property about half an hour in the middle of the night (3.00 am) before we get inside. Before the reservation they assured us that somebody will be in the reception desk waiting for us, but there were none.